I rarely request ARCs through NetGalley, but I decided to make an exception for this book. And I am glad I did. This book has everything I want in an Urban Fantasy. Familiar fantasy races, but with enough twists for them to feel brand new. 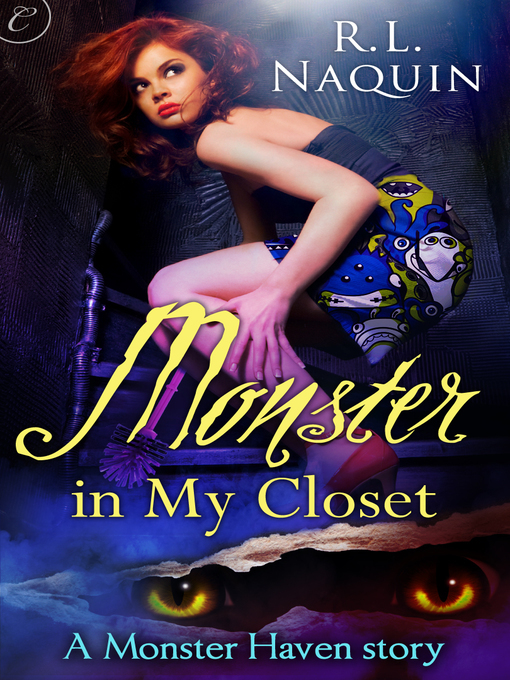 And then there are the Closet monsters. I loved Maurice, with his fretting and cooking. What’s more, all the twists and the reasons for them made a lot of sense. This was the first time I read about a wedding planner, but it was intresting to get an insight in how much job it is. I loved following Julie’s struggle to adapt to the changes in her life. From the closet monster in her kitchen, to the fact that she has a gift. But it wasn’t just that. I loved the snarkiness and the quiet humor that Julie had, and how much she cared about her clients, even though some of them annoyed her. The plot was intriguing, and filled with plot twists that took me by surprise, yet made sense when they happened. I loved how the stakes gradually increased through the book. From the first time Julie and Sebastian met, until the last confrontation. I also liked that Julie didn’t expect anyone else to solve this. She faced down Sebastian several times. When it comes to the romance between Riley and Julie, it was cute and I am curious how it will affect the two of them in the upcoming books. What I didn’t like was that even though a lot of the plot twists took me by surprise, I had a hunch about who the final victim was for a long time. But that is the only thing that mars the book, at least for me. But I definitely plan to buy the next book in the series, since I liked this one a lot.